One of Ghana’s biggest Dacehall exports, Stonebwoy’s reply to a Shatta Wale fun is the most epic reply in 2019. Stonebwoy shared a photo of himself at the beach having a good time and distressing. The photo was captioned “Remember: He Who Plays A “Role” Will Eventually Forget Their Lines… REAL ALONE SHALL SURVIVE..Monday Medz… Seaview”. 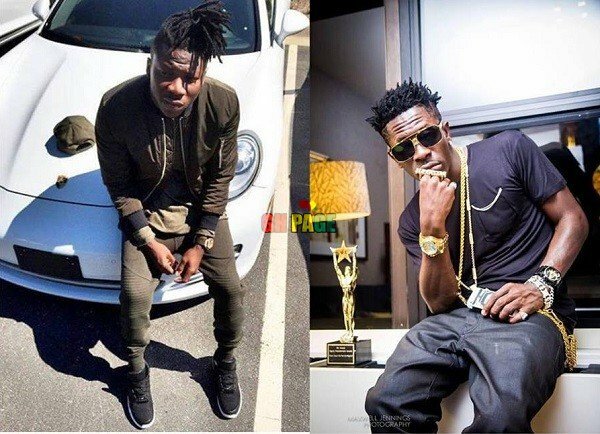 Apparently, Shatta Wale had shared a similar photo in the past but made sure his V8 appears.So the Shatta fun in his bid to tease Stonebwoy mentioned that he is trying to be a copycat, describing Shatta Wale as a trend setter. Stonebwoy in replying this ignorant SM fan said “Sold my cars and bought common sense so I walked to the beach”.